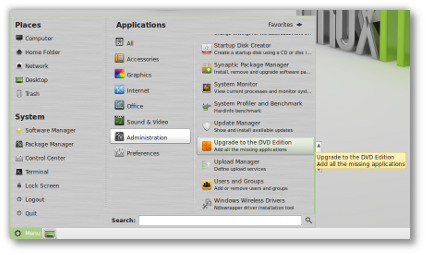 Linux Mint 11 comes with updated software and brings refinements and new features to make your desktop even more comfortable to use. 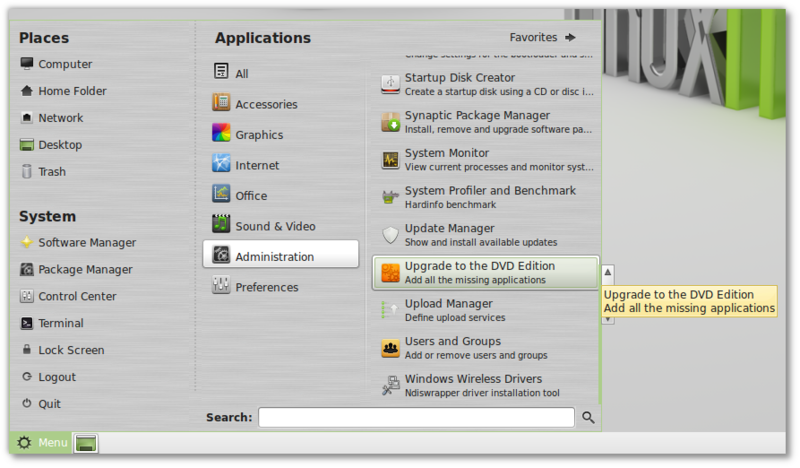 Linux Mint 11 comes as a liveDVD. A liveCD is also available for people without a DVD burner or distributors established in the USA and Japan. The liveCD comes with less applications, no multimedia codecs and no restricted software, making it fit within 700MB and safely distributable in countries where the legislation allows patents to apply to software. From the liveCD, the installation of codecs and extra applications is now easier than ever. Open the menu, click on the mouse, and all the missing software is installed. With two clicks of the mouse you'll have all the missing components installed on your system: Full multimedia support, VLC, Gimp, Giver, Tomboy, LibreOffice-Base, Java, Samba, additional fonts, backgrounds, themes, icons, and everything that makes Linux Mint a complete, out of the box, operating system. 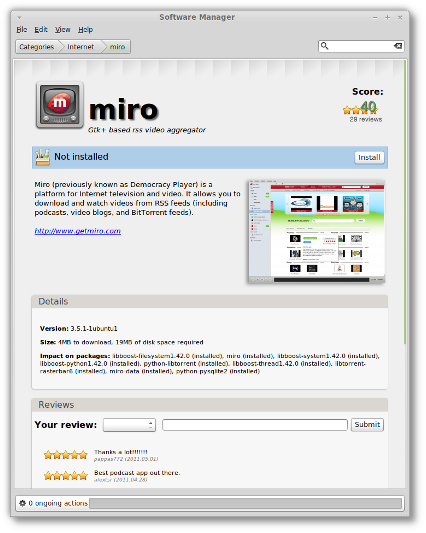 Once these components are installed, the links will disappear from the Welcome Screen and in your menu. A new link was also added in Menu->Preferences, to launch the Welcome Screen after it's been closed or told to no longer appear when you log in. 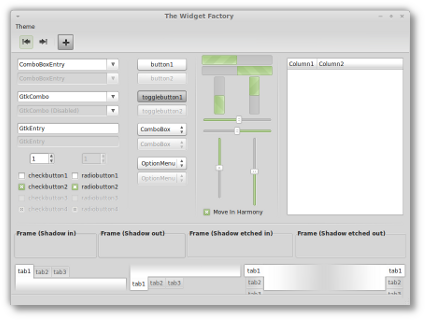 Many improvements were made to its graphical interface, and the Software Manager now looks much more polished. Application screens were visually improved, not only in the way they look but also in their layout and the information they show. 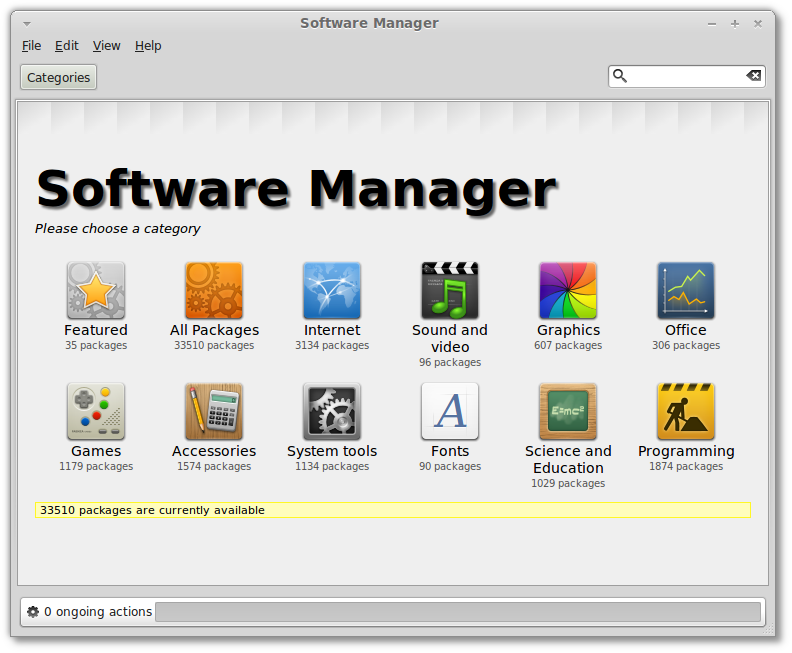 For instance, the Software Manager now runs a simulation prior to showing you the application, so when you look at it, it can tell you precisely which packages would be added or removed to your system, how much data would be downloaded and how much space would be taken on the hard drive, may you decide to press the Install button. Application icons are now gathered not only from the mintinstall-icons package but also from your icon theme and generated at runtime if need be. This helps the Software Manager in showing more icons than before, whether mintinstall-icons is installed or not. By default, the Software Manager now searches in the package names but also in their summary. This makes searches longer but more accurate than before. You can change this by clicking "Edit->Preferences->Search in packages summary". The Update Manager is faster than before. It used to check your Internet connection, update its rules and look for package updates. Thanks to some refactoring and code changes it now only looks for package updates. The rules (which define the safety level for each package) are now embedded within the Update Manager and no longer need to be downloaded. When a new version of the rules is available, a new version of the Update Manager is released. The Update Manager then ignores all other updates. Afer updating itself it is restarted, so you're always using the latest Update Manager with the latest rules and it doesn't need to check the rules every time it looks for updates. The result is a safer yet faster Update Manager. 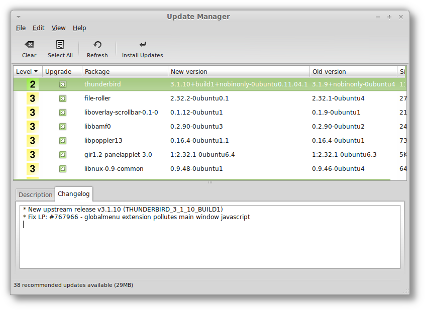 One of the biggest improvement made to the Update Manager is how it now handles dependencies. It only shows updates, not their dependencies. If the ugprade of a package requires additional changes to your system a dialog pops up with a summary to show you which packages will be installed or removed. This brings a permanent fix to the notorious "Broken packages" message that used to appear before, and it also makes it much clearer which updates are available and what effect do their installation have on the system. One of the particularities of Linux Mint is to show humorous quotes in the terminal. There's nothing like seing a cow tell a bad joke as you're getting ready to type some serious administration commands. Some people like these quotes, and some people don't. Like everything else in the system it needed to be easily switched ON or OFF and so it was added to the Desktop Settings tool. 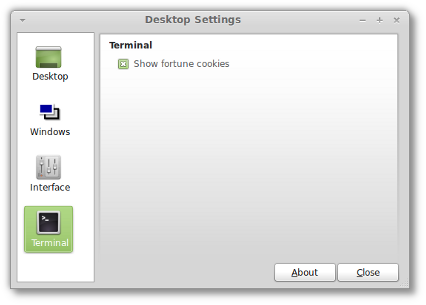 The Desktop Settings tool is now "desktop-agnostic". 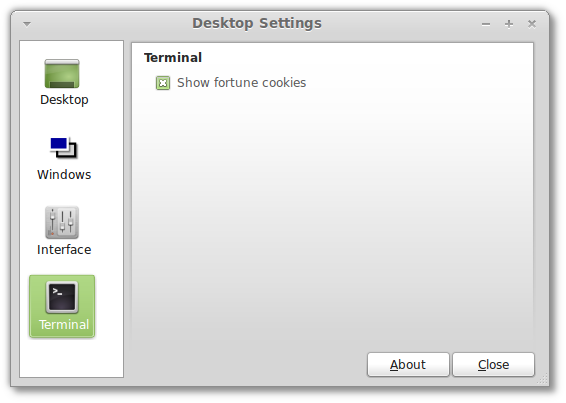 Originally developed for Gnome, it now detects which desktop is running and shows settings specific to that desktop. 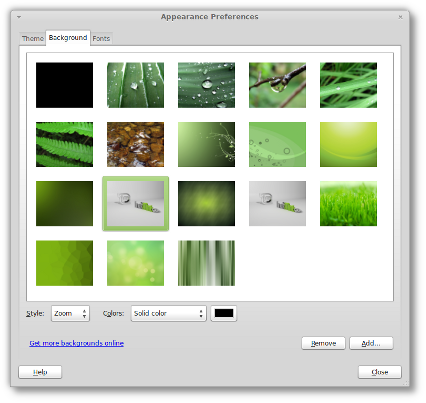 It will be used in the future in all editions of Linux Mint and offer additional settings to KDE, Xfce, LXDE and Fluxbox users. 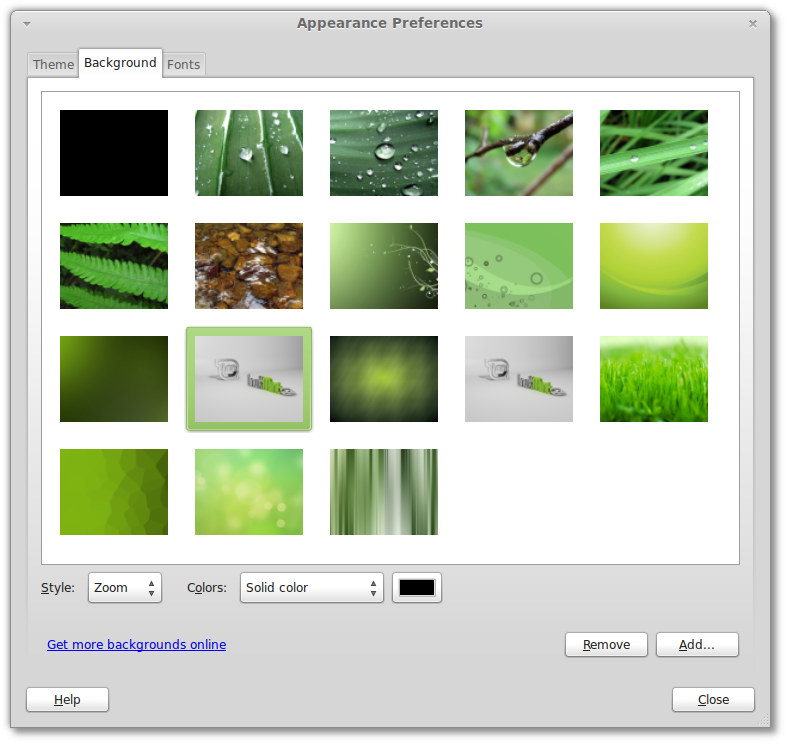 Linux Mint 11 uses the same GTK and icon themes as the previous release and brings further improvements. 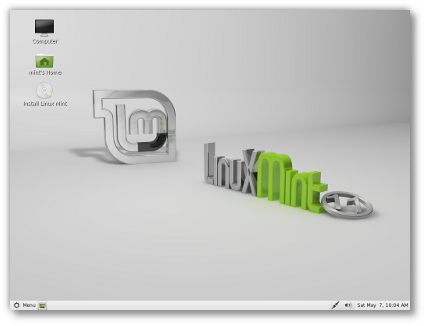 Backgrounds: This default background shows a 3D scene featuring the Linux Mint logo. It comes from an artist called Gelsan. Additional quality backgrounds are also available, including "Spring", "Bubbles" and "Bring me to life" by Pr09studio and some beautiful photographs from Jyothish Kumar P.G (aviatorjk). 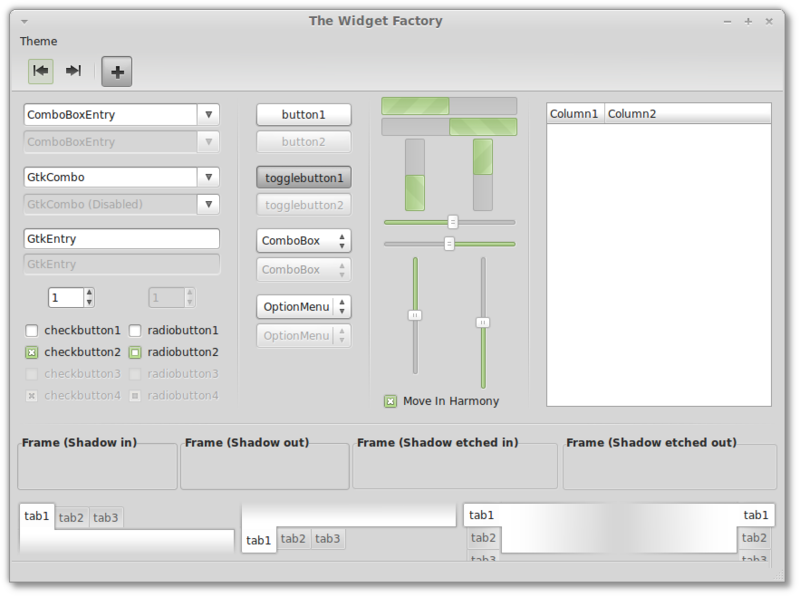 Overlay scrollbars: Linux Mint 11 inherits the upstream overlay scrollbars and enables them by default. 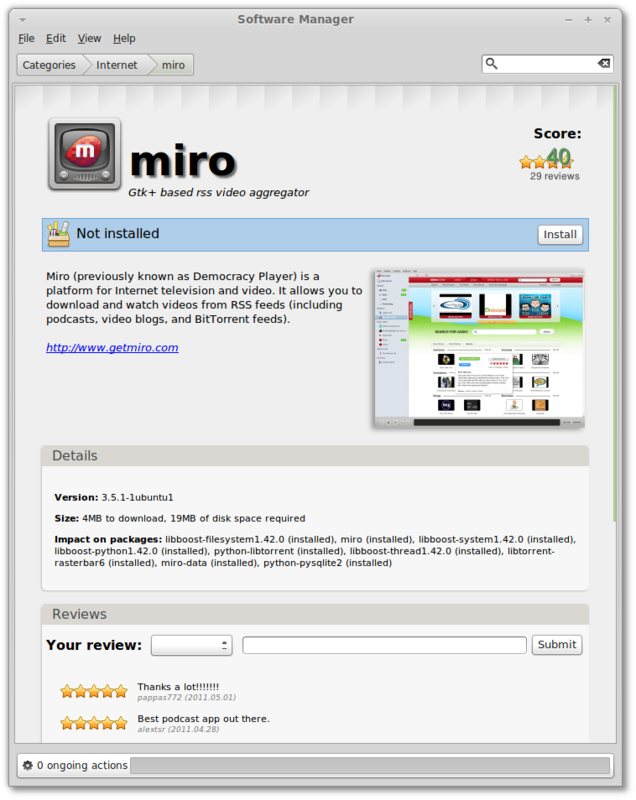 Mint-X theme: Many improvements were brought to Mint-X, including better integration with Deluge, Synaptic, Gimp and Banshee, as well as brand new round radio buttons. apt download: A new "apt download" command was introduced which downloads a .deb package locally along with all its dependencies. Adobe Flash: On 32-bit systems, the stable Flash 10.2 and Beta Flash 10.3 plugins can now be installed separately. 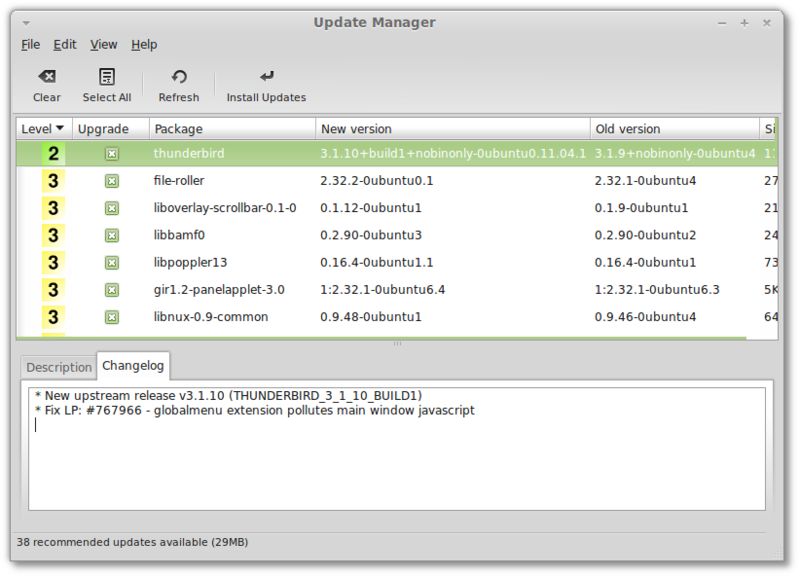 To easily switch between them, simply type "sudo update-alternatives --config libflashplayer.so". On 64-bit systems, the Adobe Flash "Square" plugin runs in native 64-bit. Gwibber is no longer installed by default. gThumb replaces F-Spot as the default photo application. Banshee replaces Rhythmbox as the default music player. padevchooser, paman, paprefs, pavumeter and pavucontrol are no longer installed by default. LibreOffice replaces OpenOffice.org as the default office suite. 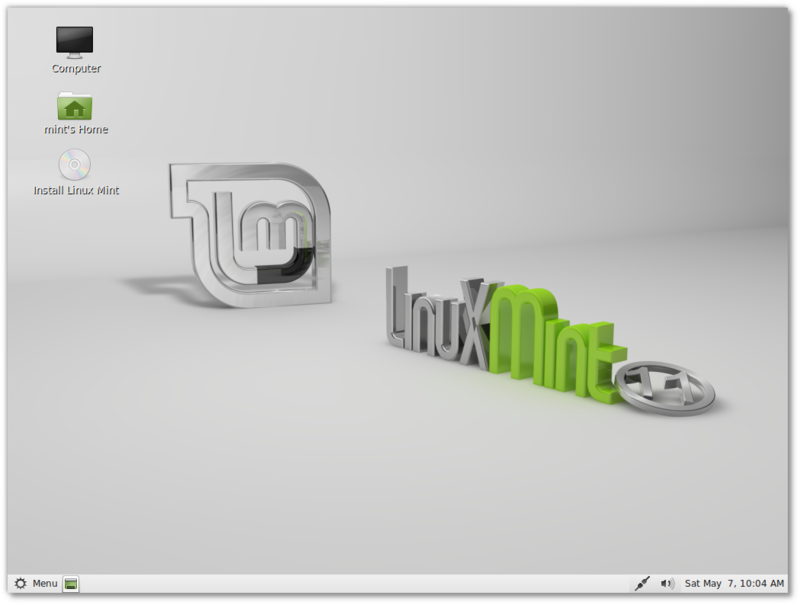 Linux Mint 11 features the following upstream components: Ubuntu 11.04, Linux 2.6.38, Gnome 2.32, Xorg 7.6.